A lot of being talked about Nationalism these days. The Hindu Samaj and the Sanaatana Dharmi is easily falling into the rhetorical trap of what nationalism is and what is not. Neither the (a large section of) media nor the Leftist shenanigans have ever understood or have accepted the idea of Bharat. Their concept of a Nation resides in borrowed view of Oligarchy. True sense of nationalist pride of Bharat comes from its sanskriti, losely defined as CULTURE and misrepresented again even more losely as religion , where as it is DHARMA – a natural order. We are also conveniently caught up and misled , for political considerations may be, in the ‘Muslim context’ when we try to associate ourselves to the sense of “RASHTRA”. Nationalism or Patriotism or Rashtravadam holds its ground only when it is disassociated from the web of politics. General public does not give any credence to the sense of integrity of a politician. There is an inherent sense of dispirited delinking when a politician talks about Nationalism or Patriotism. These are slogans of a soldier. Soldier derives his sense of pride and sacrifice from his association to the Mother land…which in-turn comes from the sanskriti that had been instilled in him through ages. There are very few counties in the world which fight wars with respect for mother land. Most countries waging wars carry mercenaries in their ranks than true soldiers. We will come to this later. The idea of this note is to arrive at a more clearer binding concept for the entire Samaj, which can not only arouse passion / bhakti but also an awakening / jaagarukata… of a collective psyche… one which can be taken into the homes and kitchens and laps and hearts of the countless mothers who nurture our children … the future of Bharat. There is a simmering discontent among many of our lot that history has been distorted and misrepresented over time. The blatant display of some crooks as heroes in the NCERT textbooks is causing lot of mental unrest. In one way, it is serving as one good way to provoke a sleeping consciousness. Dr. Ambedkar is right that in peace our Hindu spirit is dilated. Well, that said, it is paramount for us to discuss our heritage and history in our homes. I have been watching (rather attempting to show) Chanakya Serial to my grown up children. He talks of such of Akahnd bharat with compelling arguments and clarity. People like it and connect with it. I think there is an apparent paradox in the way of life a sanatana dharmi follows – a pursuit of liberation for the soul to be free. In that pursuit he transforms and in that process , he brings about societal transformation as an outcome – with that ‘chaitanya’. (We should focus more on he means and not the end). I think, our pursuit should be that inerasable chaitanya/consciousness towards Dharma.. a way of life. From that prism, any distortion of fact or any intellectual invasion and infraction – will look small and can be countered. We cannot rouse a consciousness by an external agent. It is the inner call that drives and gets the society to glue. Faiths other than sanatana dharma, have been used to external source of invasion and influence on this great nation of ours. Regardless of that , none could kill the soul of this great nation. No one can ever will. Having said that, we are at a point in time , where it is has become a grave need for the 2 living generations .. ours and our next — to raise this consciousness to such an intensity , that everything else will only pale in comparison. This is one view of mine. I hope this resonates with many. Faiths other than Sanatana dharma, are denying a dispassionate education to their lot. This is leading to distorted perceptions among many sections of youth across the world about what Sanatana Dharma is. They are aiming at opportunistic outcomes, largely driven at anti-indianism and votebanks. On a generational metric , they are already sowing a seed of failure. There is no doubt about it. Distorted perceptions won’t lead people to lasting peace. Even if we were to assume that the Middle East and the West fund such propaganda, it lasts until the green buck and black gold last. However until and during such time, we must continue to do what our aacharyaas from the saanatana have taught us and directed us, awaken the sleeping giant of consciousness . In one way the Mandali and the Sangh is giving such direction. I want to ensure that this energy is directed in a way that it Kindles more candles for light. For this is the only culture, the sanatana dharma that has shown the difference between a conflagration and illumination; it is light that creates both. May we glow the light of truth. Om..Tat..Sat. The Christian and Muslim faiths too are living in a paradox. Both of their expansionist pursuits are based on economic and geographic spread. Though the Hindu psyche and society looks disunited on the face of it, the inherent bonds persist. Where as the Muslim fraternity and leadership is going thru an implosion of its own kind, as seen in the middle east. Has religion or faith been a glue , why would Sunni and Shia fight like they do and being the house down on themselves?? The west has successfully manipulated this lot for economic purists of their own kind and created wars. The society as a whole is paying the price and the damages are getting exponentially collateral. Sheer needs of survival are forcing the Muslim fraternity from the battered places to infiltrate or migrate into easy access western lands. The inherent belligerent nature and lack of societal survival skills as a tribe, they are bound to bring the house down. I see a fractured Europe very soon. If we connect the dots on a universal scale, the middle east and large parts of Europe and northern Africa will lead the world to great turmoil. The root cause for all this is the breakdown of tribal factions in the middle east ( these were mistaken for nations led by Saddam Hussien, Hosni Mobarak and ones in Libya and other states). All I am trying to say, is, assuming that these faiths have the power to glue cultures and societies is a myth. The moderates in these cultures gave begun to realize that. The solution lies somewhere in this spectrum and milieu. One thing that we must do is, take the collective consciousness of our Sanskriti to inculcate right from our homes.The actions should be that of convergence and penetration. The ‘kula’ sanskriti has been that of convergence and penetration. (I am referring to GURU KULA). This has been successfully distorted and misrepresented as a ‘casteist’ mis-practice. The Muslim does it in the name of a Madrasa and protects it by the Sharia. 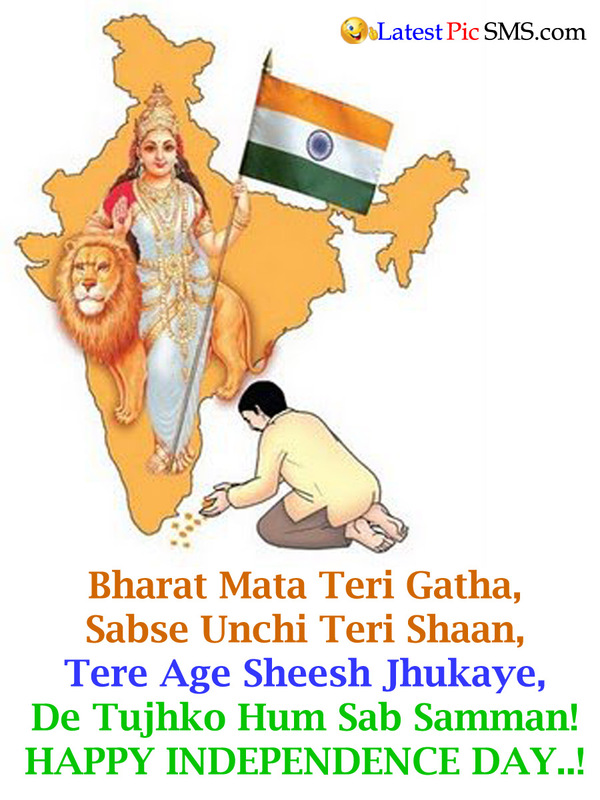 Our secular concoction and the nefarious design of the successive governments in the best part of post independent India have denied the nurture and protection of the LEGACY OF AKHAND BHARAT. They have contaminated the sowing seeds and the soil as well. Irrespective of that, the only reason we are still conscious and aroused is because of the ineffacable sanskriti.. that which pervades all over like NOTHINGNESS – it is POORNA whichever way you see it.. and hence that is SHIVA. We don’t carry this nuance as a badge of honor in our Dharma.sentence unclear, rephrase That has to be broken. Many ways of sanatana dharma have their schools and methods to propagate the skills and traits over time. Vedas and Shaastra survived because of this structure. Knowledge and culture have sustained for ages as a result of teacher-disciple lineages and that is the best way to protect permanent knowledge and rich culture. We must as a society give time to ‘nurture’ this structure and give strength to the roots. There are many ways of doing it . All we need is the awareness, the consciousness, the attitude and more importantly – the recognition of the DIRE need. There has to be a lot of SwayamSewa in here by us. The national rhetoric must change from “Nationalism” to “Collective Consciousness” towards Universal Good, Fairness, Justice and Level playing field for all. Nationalism as a concept is susceptible for distortion and hijack by those groups who do not demonstrate loyalty to the concept of nation. Consciousness as a concept and cement is untouched and unknown and detested by other faiths. A Consciousness Mantra can be well advocated by almost all the Aachaaryaas we have today – like AOL Ravishankarji, Sadhguru Jaggi Vasudev ji and Baba Ram Dev ji. We can have a convergent universal umbilical cord to bind the entire Hindu Samaj with this. Substitute Provocation with Awakening (Jaagruthi) – we must relentlessly put forth facts in front of people in as simple terms as possible. No matter what is the negativity that is being propagated. The awakening should be that of the individual ‘ s sense of fairness and justice. Substitute jingoistic Nationalism rhetoric with Collective National Consciousness of arousing / reminding people to continuously check the difference and apply discretion. We must appeal to the self-esteem of the people , their power to judge and their sense of fairness. This entry was posted in Nation and tagged national consciousness, nationalism on May 25, 2016 by skandaveera. 1) Instead of stressing affiliation to rashtra, it is better to stress affiliation to the collective … i.e. samaj should have priority over rashtra for mobilising consciousness. 2) We cannot rouse a consciousness by an external agent. It is the inner call that drives and gets the society to glue. 3) The basis should be self-esteem of people, their capacity to judge, sense of fairness, determination to check difference, and finally, above all discretion. The principal reason for this view seems to be the fact that jingoism cannot be distinguished from genuine nationalism, and that nationalism permits easy hijack. To my mind, the third point is most important as well as the most difficult. It presumes a mature people. 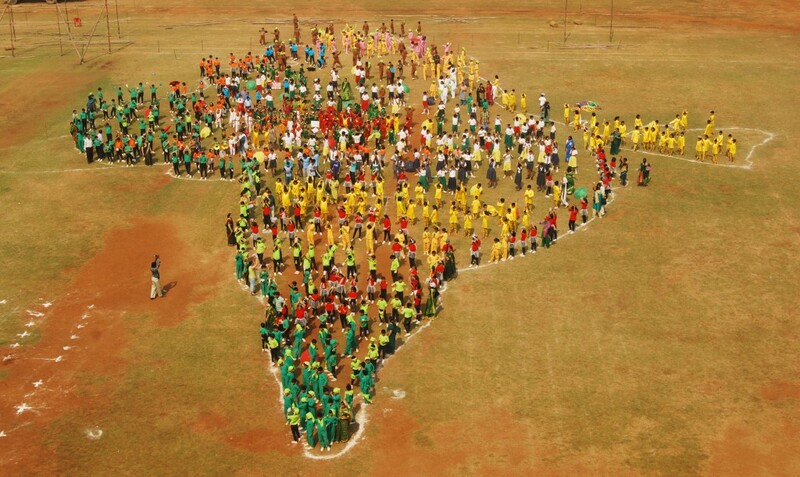 India is a mosaic. Maturity is not uniformly spread. In the olden day, elders of the community concentrated these abilities in them, and permitted negotiations. In fast changing regions, this can no longer be said to be true. In other words, the short term battles are being fought on grounds that do not always favour the long term solutions. To successfully apply the long term remedies we have to survive in the long run. To survive into the long run, we have win the short term battles. Both remedies … the short run quick fixes, and the long run consciousness building have to go hand in hand. We must walk on two legs. Thank you Rahul Shastri ji. I learn much from your feedback. I totally agree. Short term solutions too should run on facts and fought with logic. Solution too is a paradox like the complex Indian mosaic. After a long time a no linear approach is being attempted consciously by many groups. For me, in the end, that is consciousness. Every individual should in someway feel it. We have to keep the pot warm… by constantly engaging ourselves to collective good. NAMASKARARAMS.